If you’re dealing with fine strands or if your hair has recently started showing signs of thinning, you’ve probably found yourself trying to minimize how much scalp is revealed when creating a part. While having thinning hair is nothing to be ashamed of, if the appearance of a less-than-full head of locks is something you’re looking to conceal, you can achieve results using a number of easy and effective options. If you need to create a part but aren’t happy with the amount of scalp showing, the best thing to do is switch things up. If your hair has a part, chances are it’s been in the same place for some time, which can cause the hair around it to lie limp over time. 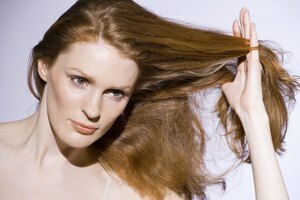 By flipping your hair to the opposite side you can give your locks the appearance of more volume. If a center part has been your thing, alternate between sides to add some fullness to the strands that frame your face. To give thin or thinning hair a fuller appearance, keep a few go-to products in your bathroom at all times. 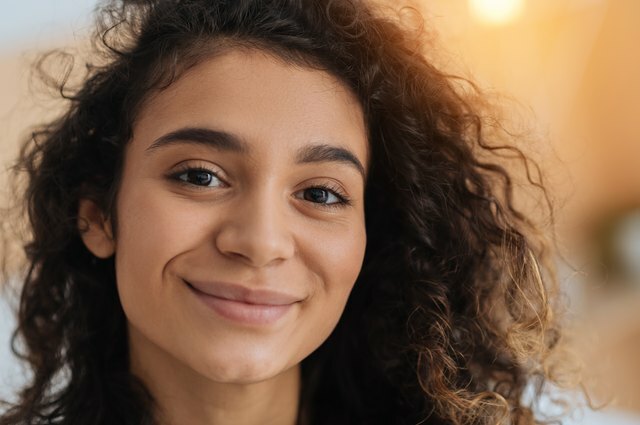 Mousse and texturizing sprays are made to add volume to strands of any type, and dry shampoo can be a helpful way to zap any oil that might be weighing your roots down, which could result in a more severe-looking part along the scalp. Finally, a round brush with natural bristles and a fine-toothed comb will work your roots to offer a fuller appearance. Begin by adding mousse to wet hair and allow it to dry. If you're going to dry it with heat, be sure to use either a natural-bristle barrel brush or clean fingertips to add volume to the roots. Once the hair is nearly dry, make your part using just your hands to prevent a straight, severe line that may draw more attention to the scalp. Lifting small bits at a time, use a fine-toothed plastic comb to gently tease the roots until more height is added both around the part and all over the head. Finger-comb the hair into place and finish with a gentle texturizing spray for an added lift. Of course, styles requiring no part will always be the best option for anyone feeling self-conscious about her mane. A pulled-back ponytail is a fun and simple option for anyone with hair long enough to stay tied back, and a low bun kept at the nape of the neck can also create a clean, sophisticated look in just a few minutes.